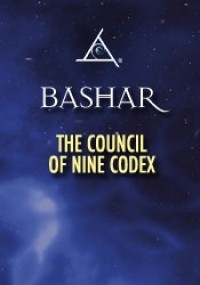 The Council of Nine Codex includes another unique, multifaceted permission slip from Bashar, which he calls “creative tapping.” The idea is to become aware of your experience on nine different levels – mind, body, and spirit, past, present, and future. This is a definitive talk for creative people of all kinds, as well as anyone exploring parallel realities or past or future lives. The creative tapping permission slip is designed to help you draw information directly from other versions of yourself. This vintage instruction on interdimensional exploration was one of the first tools Bashar gave us to prepare ourselves for the time of transformation that we are currently experiencing. I’m a psychic photographer. Thank you for helping me a little while ago with some of the invisible images. Why haven’t I been getting too many images lately? Was that you? Was it the wrong phone number? Could you help me again? I’m having heart palpitations, maybe from my medication. What can I do to correct it? I’ve done some successful whistleblowing, and am concerned about retribution from the state. Any advice? You once said I was going to have to walk a path totally on my own. Was there a specific path that you were talking of that night? What about the ships, or at least the holograms of the ships, that have been around here tonight? Why are there more ships now? How can I cure my allergies? Do we need colloidal minerals, or can the general diet provide that? Do I need a liver cleanse? What about blood cleansing herbs? Why are so many entities that are not very spiritual able to do remote viewing at will? If a negative person does remote viewing, could they become a sort of psychic assassin? Did ancient humans do remote viewing? Is it dangerous? Could you do remote viewing with the idea of having help and guidance from extraterrestrials or higher consciousnesses? Would that hinder your learning experience of learning to do this on your own? Is there something else coming through with the Hale-Bopp comet, either before or after it? Is there some large energy or presence connected to me? If so, what can I do about it? Why do so many people who have developed tremendously beneficial things – like cures for cancer, aids, many diseases – why have these people and their techniques been crushed? I heard briefly on the news about a Russian missile with radioactive generators that came down into the ocean. What will be the effect on the ocean or the planet? Can you talk about natural ways to treat AIDS? What is the energetic issue that manifests problems with the teeth, especially molars? A lot of people I know all had this same problem at the same time. My brother has a lawsuit against me about an inheritance. What’s going on in his head? James Hurtak had a merkabah experience with a being named Enoch. Can you describe what actually happened to him? Who is Enoch, and what is his function? What do you think of his ideas about Adam and Eve? Is our ascension process what’s meant by the reapplication of the garment of light? Can we now access these higher-dimensional frequencies? Could you explain the Archangel Michael? Is he an individuated personality? Who and what is Metatron? Can you explain about the Reptilians from Draco, or Draconis? Do we interact with them? What about your lives as a Grey? Were you ever involved in the abduction scenario from the Grey side? What was it like? Did the Greys not understand how much they were limiting themselves? Where did the Easter Island statues come from? Are they related to Lemuria? What is the meaning of their placement, facing the ocean? To what degree is our collective consciousness connected to Mars in the sense of Christ, or the Buddha nature? What about Quetzalcoatl?